With drones designed to contain ‘unruly crowds’ and ‘violent protests’, a South African company is bringing riot control to a whole new high-tech level. 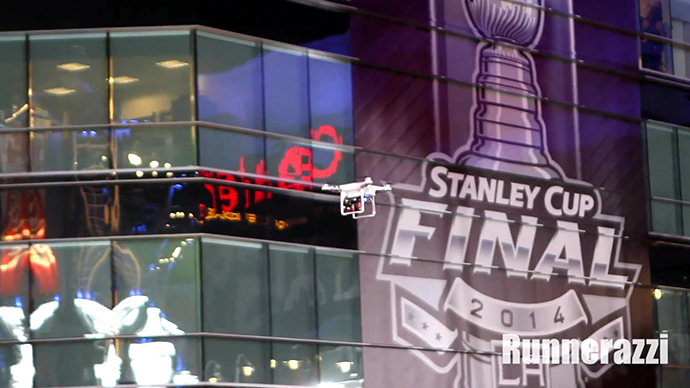 The unmanned aerial system is able to shoot pepper spray and non-lethal paintballs to mark offenders. The paintballs can be used to “mark” people in the crowd. “The operator has full control over each marker. He can select the RED paint marker and mark the protester who carries dangerous weapons, he can select the BLUE marker to mark the vandalising protestors,” the Desert Wolf website said. The Skunk Copter can also employ strobe lights, “blinding lasers” and on-board speakers to send verbal warnings to a crowd, though New Zealand’s 3News notes that the Geneva Convention prohibits the use of loudspeakers and laser pointers in combat. 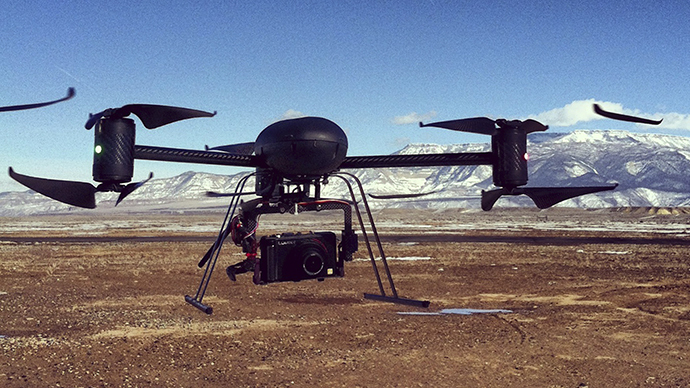 The UAS also uses a thermal camera with night-vision capabilities and two full-HD video cameras to record events as they unfold. The eight powerful electric motors with 16-inch propellers allow the drone to lift up to 45 kilograms (99 pounds). “Our aim is to assist in preventing another Marikana, we were there and it should never happen again,” the Desert Wolf website said. Marikana was a wildcat miners’ strike at a South African platinum mine in 2012, where 44 people were killed in the violent protests. According to autopsy reports, many of the deaths occurred when strikers were fleeing police. 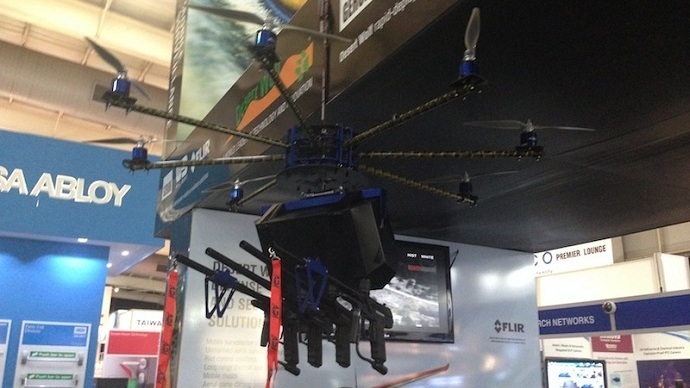 The company sold 25 drones to a mining company after it unveiled the Skunk at the IFSEC security exhibition outside Johannesburg in May. "We cannot disclose the customer, but I am allowed to say it will be used by an international mining house,” Desert Wolf's managing director Hennie Kieser told BBC News. "We are also busy with a number of other customers who want to finalise their orders. Some [are] mines in South Africa, some security companies in South Africa and outside South Africa, some police units outside South Africa and a number of other industrial customers." The International Trade Union Confederation, which supports workers’ rights, told the BBC it was horrified by the new technology. "This is a deeply disturbing and repugnant development and we are convinced that any reasonable government will move quickly to stop the deployment of advanced battlefield technology on workers or indeed the public involved in legitimate protests and demonstrations," International Trade Union Confederation spokesman Tim Noonan said. "We will be taking this up as a matter of urgency with the unions in the mining sector globally," he added. 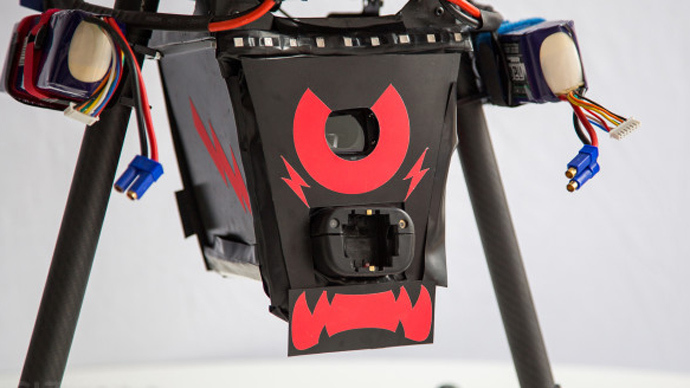 The International Committee for Robot Arms Control (ICRAC) campaign group is also speaking out against the use of the Shark Copter and similar technology, such as the CUPID drone that employs an 80,000-volt taser dart. Noel Sharkey, chair of the ICRAC, told the BBC he is concerned that the deployment of such drones risks "creeping authoritarianism and the suppression of protest." 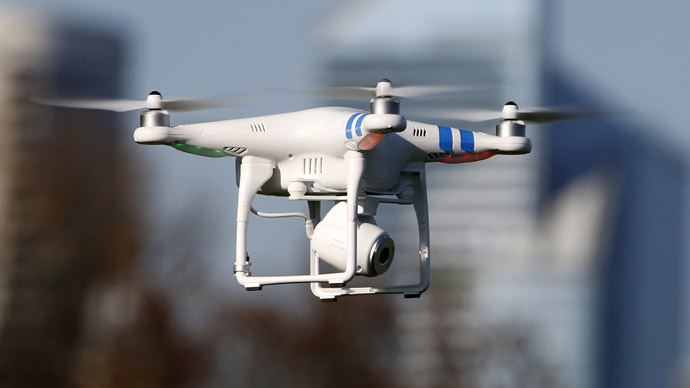 "The use of remote-controlled drones to police or attack civilian individuals or groups with violent force is an offense against human dignity and a threat to democratic sovereignty," Mark Gubrud, a physicist with the ICRAC, told 3News. "It is also a potential precursor to scenarios in which the robots would operate fully autonomously, choosing their own targets outside of human control." "These weapons cannot be sufficiently well controlled to avoid causing serious injury, especially to eyes," Gubrud told CNet. 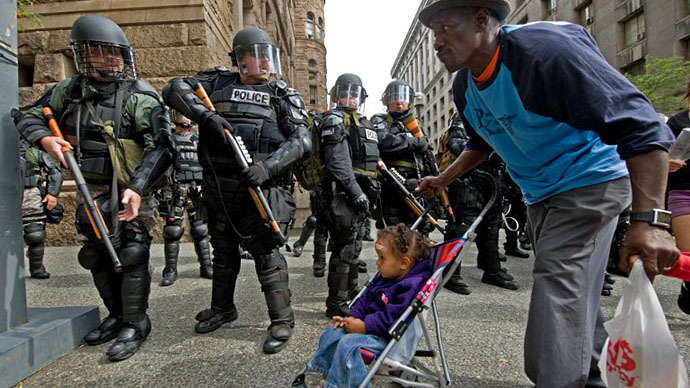 "Many existing ‘non-lethal’ crowd-control weapons can and often do kill." The first batch of drones, which cost about 500,000 South African Rand ($46,000) apiece, will be deployed to South African mines later in June, according to the Verge. Strikes against three of the country’s top three platinum producers have been going on for the last five months, though a wage deal between the mining companies and unions is imminent, Reuters reported on Friday.